We need to use the technology available to us in order to engage the younger members of the workforce and keep them in the tech industry, says Paul Whitelam. Leah Kinthaert looks at why women are underrepresented in leadership, and talks to some female leaders about how to empower the next generation of women. Leadership Is Changing, Are You Ready? Leah Kinthaert looks and leadership in the 21st century, and examines the various definitions our own leaders have. Vishal Chatrath, the CEO and founder of PROWLER.io, looks at artificial intelligence and attempts to distinguish the technology from the hype. PromoRepublic has raised $1.2 million for an AI-infused social media platform for small businesses. Apple has a huge money pot, so acquiring smaller companies is an order of business for the technology giant. London-based Your.MD is a chatbot that can help with health problems such as stomach aches, sore throats and headaches. Volvo and partner company Autoliv have teamed up with Nvidia to develop self-driving software on the latter's Drive PX platform. MIT's CSAI lab has developed a concept design for a drone that can drive on roads and fly over obstacles, such as lakes or areas of green, open spaces. The UK government suffered from a cyber attack over the weekend, compromising up to 90 accounts with weak passwords. IDC estimates major growth in VR and AR headset shipments during the next five years, with VR set for consumer demand and AR making inroads in enterprise. Uber's former CEO Travis Kalanick knew about confidential Waymo files, which former employee Robert Lewandowski stole when he left the Alphabet-owned company. 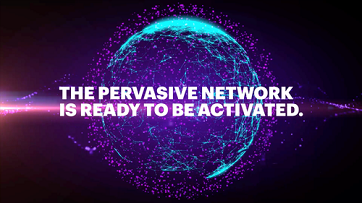 Calipsa's deep learning technology monitors video surveillance and analyzes the data, making recommendations for efficiency or redistribution of resources. KUKA, maker of the iconic orange-liveried industrial robots, is going to target the consumer world too. At techXLR8, an esteemed panel discussed how artificial intelligence is going to shape our lives in the future. British company MelodyVR, a music virtual reality platform, has announced a global partnership with Microsoft. Petasense is a startup looking for good, as well as bad, vibrations in connected machines. Is Hyperloop the Future of Public Transportation? Hyperloop appears futuristic and a little far-fetched, but there's a chance it might just happen. Tesla is parting company with its Autopilot software lead after only six months, but has hired a new director of AI and Autopilot. Over the years, the workplace has changed immeasurably, with the addition of computers, the Internet and smartphones. This has had a huge effect on the culture of a company and how it operates. Virtual reality serves all kinds of purposes, but one of its biggest uses is for marketers to better engage customers with their brands. Enter immersive marketing. Research from Facebook's AI labs appear to show that chatbots are cutting out the middle man and learning language skills from each other. Varjo has developed a VR headset with a resolution of 70 megapixels, compared to 1.2MP on the current leading headmounted displays. The TechXLR8 awards at the Tobacco Dock in east London celebrated achievements from many companies right across the technology industry. In Google's ongoing efforts to filter out online extremism from its platforms, the search giant will use a mixture of AI and humans on YouTube. 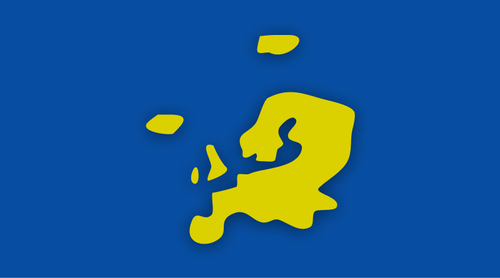 In this podcast, UK Innovation Hub Outpost's Kate Jack shares with London Tech Week the three key attributes startups need to have, not only to survive but thrive in a market burgeoning with competitive startup talent and innovation. Emmanuel Freund, CEO and co-founder of the French start-up Blade, creator of Shadow, the first high-end PC entirely based in the cloud. 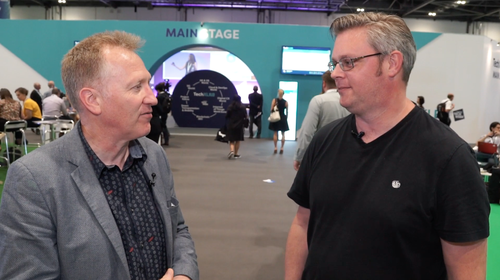 Scott Bicheno from Telecoms.com and Ray Le Maistre from Light Reading chat about some key takeaways from the TechXLR8 show floor, with 5G and connected cars the key topics of discussion. 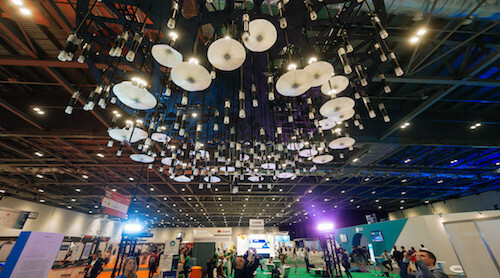 With the flagship TechXLR8 event over, London Tech Week 2017 is in its final stretch, but there's still plenty going on all over the capital. 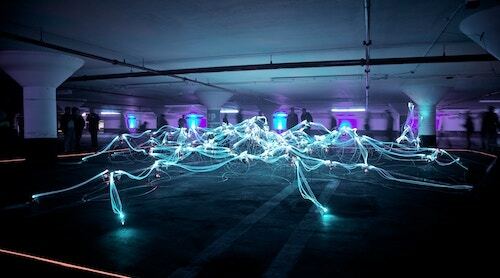 Tech Nation 2022 looked at how much the UK technology scene has grown, and what it needs to do to reach the next stage of growth. 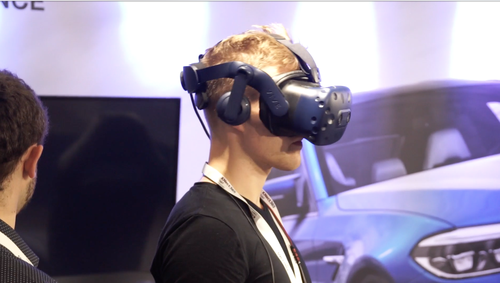 As TechXLR8 enters its final day, technology takes center stage on the show floor. The UK will need to work hard to keep its strong technology talent pool topped up. 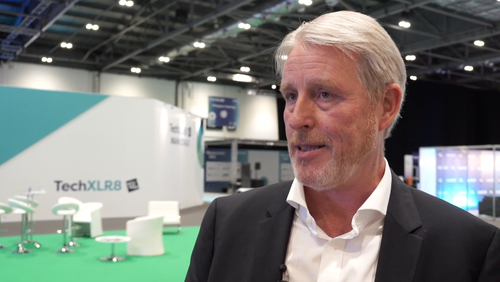 From the show floor at TechXLR8, Ovum Principal Analyst Daryl Schoolar provides an update on developments in the IoT and 5G markets. The Leicestershire Fire and Rescue Service is using virtual reality to teach people about the ramifications of dangerous driving. London Tech Week is at its halfway point, but there's still much more to happen across the city. 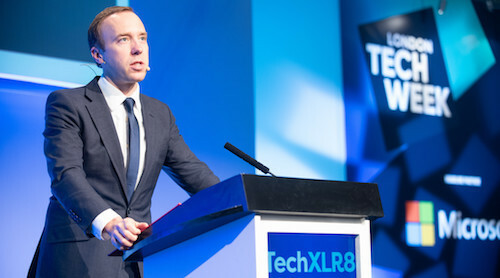 UK mobile operator EE is looking to stay at the leading edge of 5G network development, CEO Marc Allera explained in a keynote speech at TechXLR8. Many things were discussed at VR & AR World's Creative Forum on June 13, including nausea and lag when using VR. Secretary of State for Culture, Media and Sport Karen Bradley MP gave the opening keynote at TechXLR8, highlighting how technology must run through every vein of the British economy. The second day of London Tech Week 2017 encompassed even more events from all over London, with many different and varied speakers and topics on the agenda. JLL senior analyst Ryan Loftus looks at the potential impact of technology innovation on urban logistics. Technology development is bringing New Zealand and the UK closer together, notes Amanda Eliason of New Zealand Trade & Enterprise (NZTE). Michael Davis, Head of London Unlimited at JLL, looks at trends in PropTech. Since its arrival in the 80s the PC has been evolving -- and its latest transformation, argues Nopporn Suppipat, could well be its last. Plexal, the UK's new innovation hub, is the largest of its kind in Europe. The morning of London Tech Week 'Day 1' focused on the official launch and two new initiatives in the capital city that are all about encouraging and funding startups. As part of London Tech Week, Mayor of London Sadiq Khan announces the formation of, and funding for, a Clean Tech Incubator called Better Futures.